As the nation’s only nonprofit distributor, Small Press Distribution is dedicated to getting small press literature to the people who want to read it. As such, we’re grateful to our main customers—indie bookstores—the outward-facing purveyors who present our books to the public with flair and aplomb. To celebrate the great individuality of our favorite indie stores across the country, SPD’s asked a few of them to shine a monthly spotlight on their ten current favorite SPD-distributed titles. This month, we’re excited to host beloved Brooklyn bookstore Unnameable Books. Unnameable Books is a very good bookstore in the Prospect Heights neighborhood of Brooklyn, New York. The company motto “We Buy And Sell Used And New Books” appears in a yellow oval, against a white background, above the door. The Song Cave is a remarkable Brooklyn-based press that seems to inevitably find great talent in their own city and elsewhere. Fort Not is a fantastic debut by Emily Skillings. Lyric poetry instead of academic polemic is underrated these days, and Skillings delivers a hazy, magical mystery tour. Wave Books has started a new series of ephemera books, and this is their first release in said series. 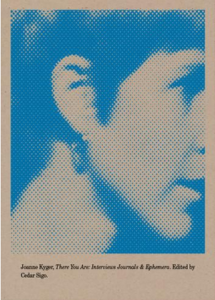 Beat-associated writer Joanne Kyger, who passed away earlier this year, had a treasure trove of journal writings and daily poems that are lovingly edited by her friend, student, and fellow poet Cedar Sigo. We are looking forward to more releases in this series. Gladman’s fourth novel in a series set in the town of Ravicka is long-awaited. 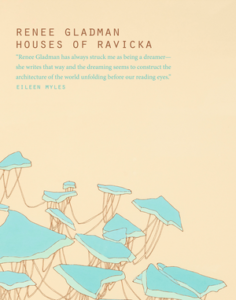 Gladman, a poet and speculative fiction writer, continues their brilliant poetic meditations in a New Narrative style, which has come back into fashion since its 1970s and 80s heyday. You can find the other volumes in the series at SPD as well. 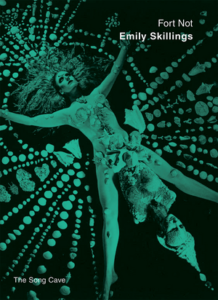 karis edwards’ 2015 poetry book won the 2016 Lambda Literary Award for Transgender Poetry, and what a stunner it is. 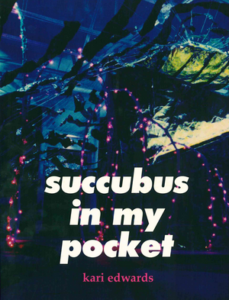 Published after their death in 2006, succubus in my pocket challenges the norms of language, gender, and biography in a most telling and mercurial way. 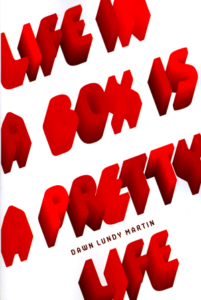 Martin’s 2014 book won the 2015 Lambda Literary Award for Lesbian Poetry. Nightboat, one of our favorite contemporary poetry imprints, always seems to pick the best of the best for their releases. Written with a concern for the constraints of language on gender and race, Martin’s metaphor becomes a powerful starting point to address these problematic relationships. Burning Deck continues to publish incredible books every single year. 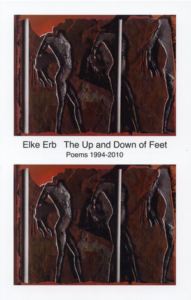 This one is by Elke Erb, German poet extraordinaire, translated by the equally incredible Rosmarie Waldrop. The coming together of these two poets has been a long and fruitful relationship, introducing some of the best poetry out of contemporary Germany to American readers. Highly recommended. 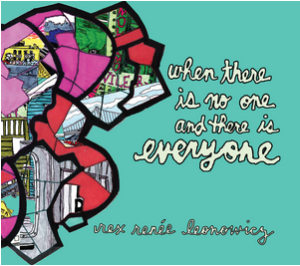 Friend and employee to Unnameable Books, Leonowicz’s debut collection is a real gem of performance text, illustration, and poetry, that will charm the reader with its political awareness, frank humor, and downright sweetness. Stop by and say hi to Rex sometime. An amazing collection of primary sources of the infamous New Narrative movement in the Bay Area of the 1970s and 80s. 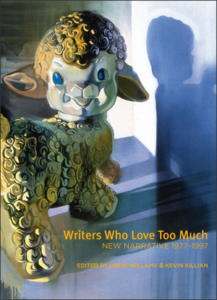 Writers such as Kathy Acker and Bob Glück, as well as the two editors, Dodie Bellamy and Kevin Killian, challenged and changed the face of the Bay Area literary world with queer narrative through their poets’ eyes. We are seeing a resurgence of these forms, as what was written 40 years ago is relevant today, and being added to by a new generation of writers. 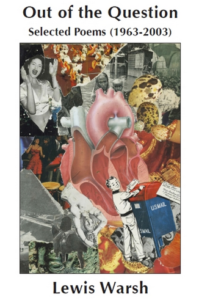 Our list would not be complete without a second generation New York School poet, and Lewis Warsh is still producing quality work as he did in the 1960s. This selected poems shows the often hilarious and dry wit of a poet who not only wrote great poems, but published incredible works by poets who will definitely be remembered for yet another 50 years. Our list would also not be complete without a Hollywood memoir. 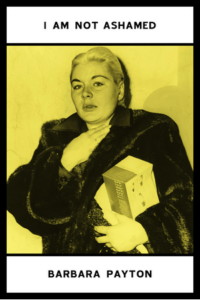 Frank about her unforgettable lifestyle off-camera, Payton’s musings come off as completely courageous in the face of suffering and addiction. Plenty of memorable lines from her book show Payton had the gift of gab, as most larger-than-life actors/characters do. Samuel Delany: "If You're Going to Write Anything, Try to Take it Seriously"